I received a free set of Crayola Take Note Erasable Highlighters as part of a Swag Box that I received as an attendee at Sweet Suite 2018 – so, of course, I had to write a review. 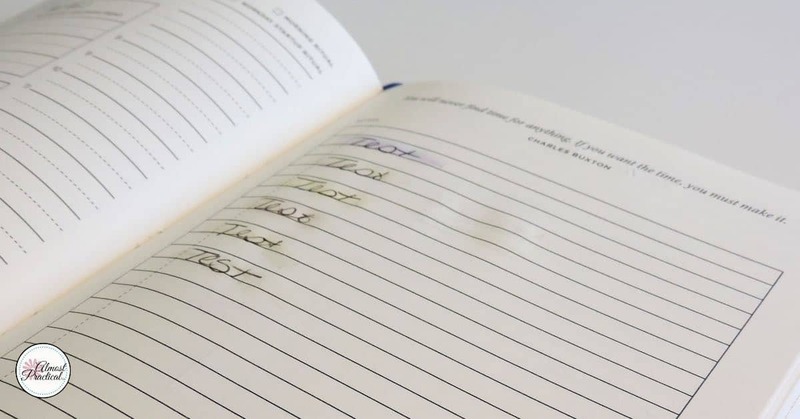 As you know by now, I love anything to do with productivity including planners, journals, pens, markers, and yes – highlighters. And when I saw that they were erasable – well, I was hooked. Because – who doesn't make a mistake? accept the fact that you will have to cross things out. With the Crayola Take Note Erasable Highlighters, you now have a third choice – use color to your heart's content and erase away what you don't want. I wanted to believe that these were the real deal. But having tried different brands of erasable markers before, I knew that I had to try these out for myself to make sure that I liked the results. So this is the basic way you use the Crayola Take Note Erasable Highlighters. Both ends of the pen have capped marker nibs. One end is the color highlighter. The other end is a clear looking highlighter nib..
You add color with the colored end and you erase with the clear end. You can use the clear end of any color to erase any color. For example, you could use the clear end of the yellow marker to erase the purple highlighter. I don't feel like the clear end picks up color (meaning gets stained or dirty) from erasing the colored highlights. But it could get dirty from the underlying pen that you use. In fact, the packaging clearly states that these highlighters work best over printed material (as opposed to hand written). For example, I highlighted over some blue gel pen ink and when I erased the highlighter there, some of the blue gel pen ink transferred to the clear highlighter. This could leave a shadow the next time you erase. 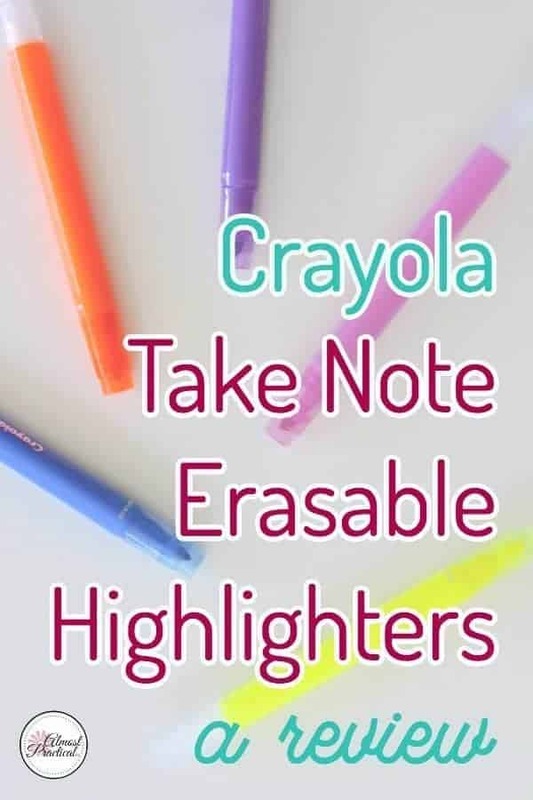 One thing to note is that once you erase your highlight, you cannot re-highlight the same area again with a Crayola Take Note Erasable Highlighter. You could use a regular ole highlighter but that, of course, would be permanent. Right off the bat, I have to tell you that they erase really well. 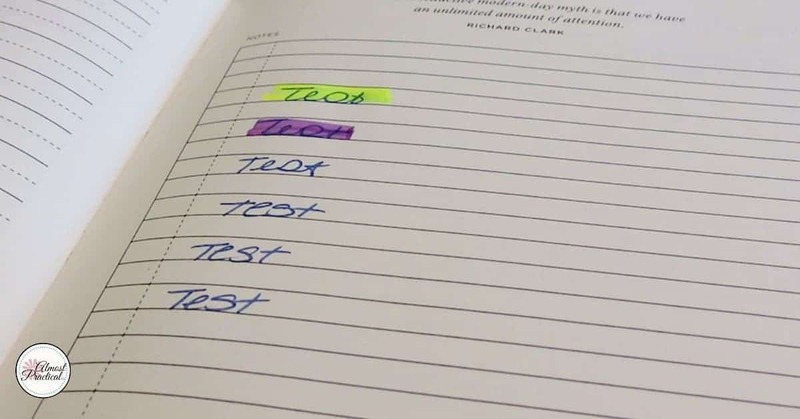 In my test, I wrote text with ballpoint pen and then used the highlighters over the text. I then went back and erased my highlights. The highlight erased well for all the colors and the ballpoint pen text stayed intact. While all the color disappeared, there was a slight shadow left where the color once had been. And when I say slight I mean – really slight. It was definitely good enough for me. The markers have a nice feel and are comparable to other regular highlighters. The colors that I tested were yellow, pink, orange, blue, purple, and green. I felt that the yellow, pink, and orange were perfect for highlighting. The blue, purple, and green were a little dark for highlights but would be could for underlining, coloring, or making notations. and for professionals in business. They are also great for back to school supplies and for stocking stuffers at the holidays. Overall, these are an awesome option for highlighters because they are erasable which makes them really unique. You might also like these Crayola Take Note WASHABLE GEL PENS. I haven't had a chance to try them yet, but they look really interesting.